WHAT IS AN ENTERPRISE ZONE (EZ)? In 1986, the Colorado legislature created enterprise zones as a way to assist businesses and non-profit organizations located in economically depressed areas throughout the state. This legislation makes it possible for the Loveland Green House® Homes for Life Enrichment to offer its donors a 25% Colorado State income tax credit on cash contributions of $100 or more. You must file your State Income taxes electronically to get this tax credit. Over the years, this program has proven to be of great value to organizations in the Enterprise Zone and their supporters. There may be a substantial tax benefit for donations made to the Loveland Green House Homes for Life Enrichment through the Enterprise Zone. The net after-tax benefit for a gift of $1,000 is $630. In this way a gift of $1,000 costs only $370 after taxes (see example below). Specific net after-tax benefit for the same gift will differ based on individual tax situations. *This example is for illustrative purposes only. Please consult your tax advisor to relate this to your particular circumstances. For more information on the Enterprise Zone, please contact a development officer at 303-297-1815. Gift-In-Kind contributions of stocks, services, and materials are eligible for a tax credit of 12.5%. A detailed explanation of these conditions can also be found on the Colorado Department of Revenue website at www.colorado.gov/revenue/tax. 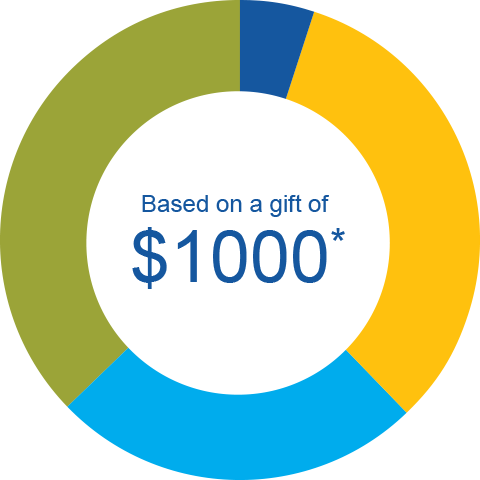 Note: If you donate more than $100 and you want to claim your Colorado Enterprise Zone Tax Credit, please contact Tracie Thompson at the Loveland Housing Authority 970-635-5922 or tthom@lovelandhousing.org.